Last week, Home Media Research released a study revealing that Blu-ray had just outsold its competitor, HD DVD, by 2-to-1 for the first half of 2007. To be specific, HD DVD movie sales only reached about 795,000, while Blu-ray reached 1.6 million. 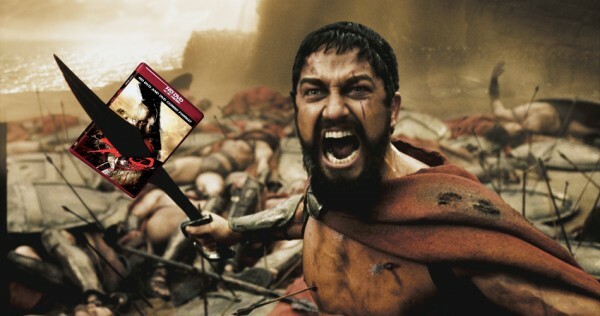 To be even more specific the popular Spartan epic, ‘300’, which became the fastest selling High-Def movie, sold 190,000 Blu-ray discs and 97,000 HD DVDs (approx 2-to-1 again). Even the popular movie rental service, Blockbuster Video, which began offering rentals of both formats in late 2006, announced in June 2007 that they have decided to drop HD DVD and stock Blu-ray in all stores. Although it may seem as though Blu-ray now has the upper hand, HD DVD is still in the game. While Blu-ray has the support of many large corporations, including HP, Dell, and Apple, HD DVD has secured more deals with major movie studios. If HD DVD continues to grab exclusive content from Universal, Rouge, Paramount, DreamWorks, and Warner Bros through the Christmas season, they might just be able to take down Blu-ray for the 2nd-half of 2007. Despite this, as of this week, there are 322 Blu-ray titles while HD DVD just falls a bit short, with 273 movies. Another factor which makes it difficult to tell which format will come out on top is the pricing of the stand-alone players. HD DVD players are now available for as low as $250-350, while the cheapest Blu-ray player is still $450-550. This also reveals that the high amount of Blu-ray sales are mostly due to PlayStation 3 sales, since the console supports HD optical media right out of the box, whereas Xbox 360 users are required to purchase a $180 HD DVD drive. Companies such as Samsung and LG, who would much rather reap profits from both formats than subscribe to a futile war, have already released hybrid players which support both formats. Unfortunately for us, these units have price tags of $1,000. Finally as for the technical side, the Blu-ray has a much larger storage capacity holding up to 50GB total (25GB/layer). The HD DVD can only hold 15GB/layer, therefore totaling a max of 30GB. As far as replicating the ultimate movie experience, both formats are practically identical, statistically speaking, as well as to the average eye. However, Blu-ray has the upper hand, in my opinion, since it can store more data for games. Luckily for Sony, as of now, the Blu-ray format is most definitely not heading in the same downhill direction as their Betamax did about 20 years ago.